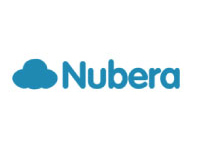 Gartner, Inc. (NYSE: IT), the leading provider of research and analysis on the global information technology industry, today announced the acquisition of Nubera, a privately held company based in Barcelona, Spain. Terms were not disclosed. Nubera, whose flagship web property is GetApp, helps organizations discover, compare and choose the right business software and applications for their needs. The services provided by Nubera are highly complementary to our Software Advice business and add to the expanding range of services currently provided by Gartner. The acquisition of Nubera is consistent with our strategy of investing in world-class products and services that help clients make the right technology-related decisions, every day. Gartner, Inc. (NYSE: IT) is the world’s leading information technology research and advisory company. The company delivers the technology-related insight necessary for its clients to make the right decisions, every day. From CIOs and senior IT leaders in corporations and government agencies, to business leaders in high-tech and telecom enterprises and professional services firms, to technology investors, Gartner is the valuable partner to clients in approximately 10,000 distinct enterprises worldwide. Through the resources of Gartner Research, Gartner Executive Programs, Gartner Consulting and Gartner Events, Gartner works with every client to research, analyze and interpret the business of IT within the context of their individual role. Founded in 1979, Gartner is headquartered in Stamford, Connecticut, USA, and has 6,800 associates, including more than 1,500 research analysts and consultants, and clients in 90 countries. For more information, visit www.gartner.com.